Bet that is one safe neighborhood! Don’t see any lurking criminals in your cartoon. Can’t imagine why? And given that many states already allow carrying of firearms in churches, places where alcohol is sold, government buildings and few incidents ever happen; what is the prediction for Georgia? 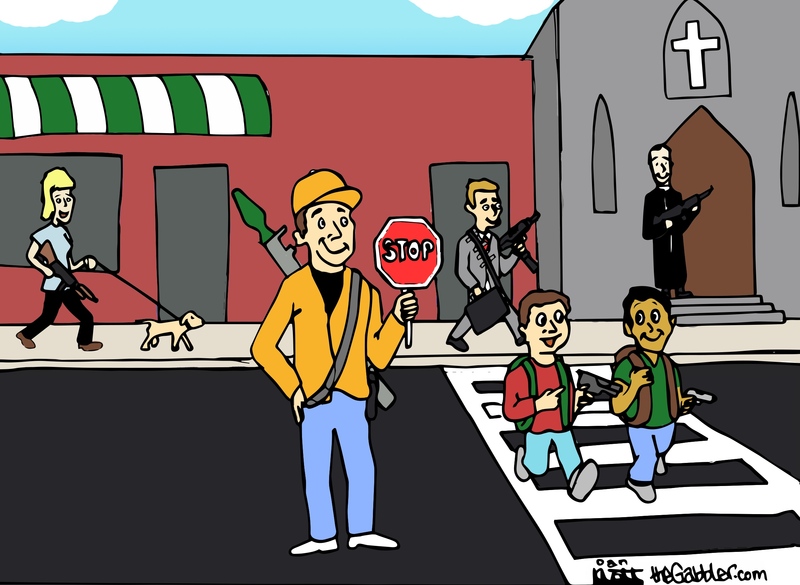 Love the straw man argument depicted in the image; school children carrying firearms — as if the NRA supports that. When the reality is the firearms carried by children in schools are the ones used by gangs or drug cartels. Funny how you don’t point that out.